Samsung Wave M touch screen smart phone from Samsung Mobiles has powered by Samsung companies BADA operating system which is specially designed to compete with Google Android OS and Nokia Symbian Belle OS. The Samsung Wave M comes with an 832 MHz processor which is a single core. The device has a brilliant 3.65 inch TFT Capacitive Touch Screen with 320 x 480 pixels. The device is powered by the standard 1350 mAh lithium ion battery that provides 980 minutes talk time and 780 hours standby time. The device is more vibrant that you can get to work on the device for long hours without being disturbance. Samsung Wave M has a 5-megapixel main camera and a VGA secondary camera for video chatting. 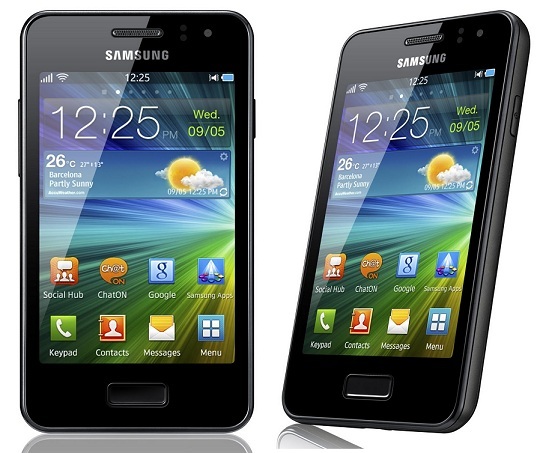 Samsung Wave M comes with 150 MB internal storage capacity which can expandable up to 32 GB via micro SD Card. Samsung Wave M provides all advanced connectivity options like Bluetooth, GPRS, EDGE, WLAN, 3G with HSDPA and 7.2 Mbps. 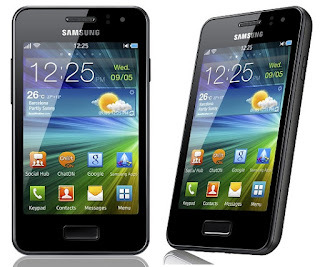 Samsung Wave M available in Black color.